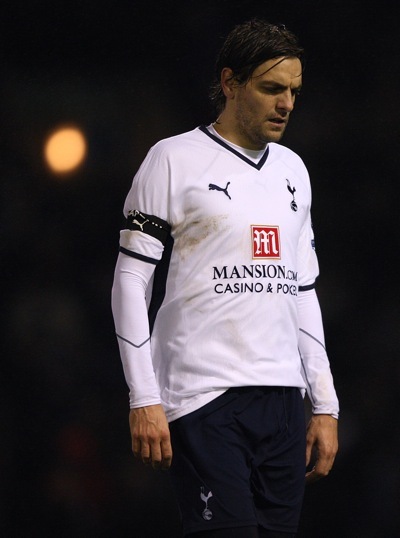 TOTTENHAM manager Harry Redknapp fears Jonathan Woodgate will be forced to retire if one final operation fails to cure his ongoing groin problem. Specialist surgery in America and Australia has proved unsuccessful and Redknapp believes the 30-year-old defender, who hasn’t played since November 2009, is close to hanging up his boots. Redknapp said: “They’re talking about having an operation for Jon now. That’s his last chance. Well, probably. His last resort, I think, will be an op. “Someone abroad’s going to do it. The physio’s taken him. Depressing news. Woodgate is one of the most gifted defenders England has produced in the last 20 years, but unfortunately his body let him down on too many occasions. Owen Hargreaves, for one, must know exactly how Woodgate feels. For that reason, I hope he recovers.